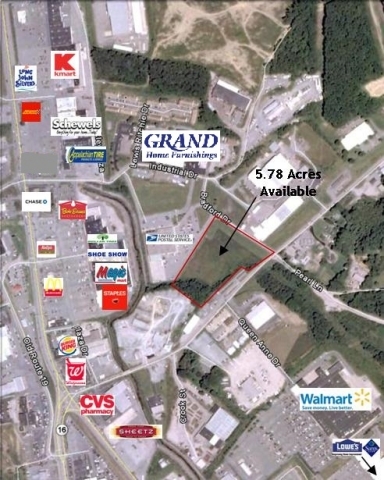 5.78 acres available located near the intersection of Ragland Road and US Route 16 (Eisenhower Drive). Close to Wal-mart, Kohls, Lowes, and Sams. Ideal location for restaurants, retail or office space.